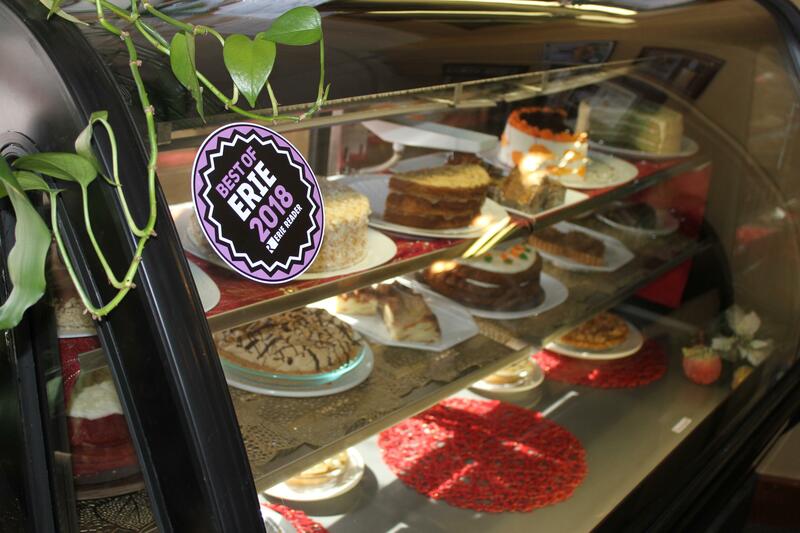 The homemade dessert selection at Pineapple Eddie Southern Bistro has tantalized from the get-go, hugely influential in its being honored as Erie's Best Restaurant in the 2018 Best of Erie Awards. Starting a restaurant isn't easy. Keeping one open is even harder. I can personally attest to this. The fact is, up to 90 percent of independent restaurants will close during their first year of operation. Of those that make it one revolution around the sun, 70 percent will close within three to five years. But thankfully, that's where trends shift. After the five-year mark, 90 percent will remain in business for a minimum of 10 years. 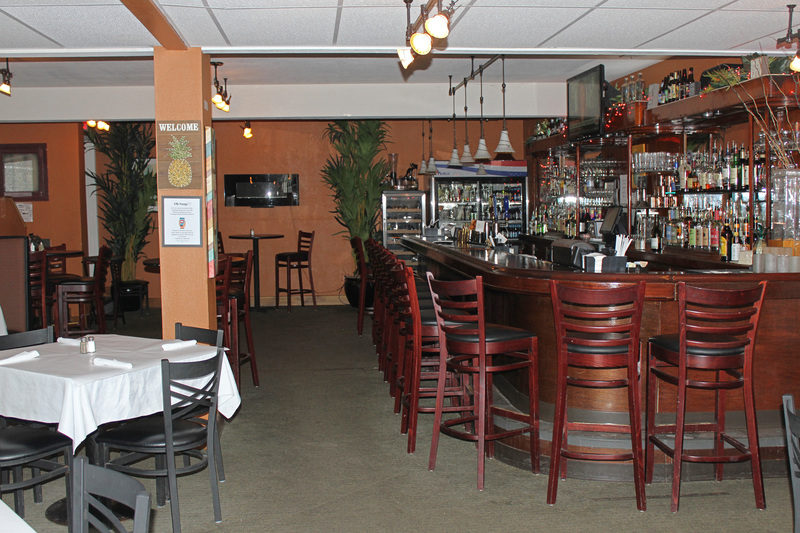 A well-established neighborhood gem known as Pineapple Eddie Southern Bistro (not Eddie's, as it is often referred to) has long surpassed that five-year mark, having opened its doors back in July 2011. 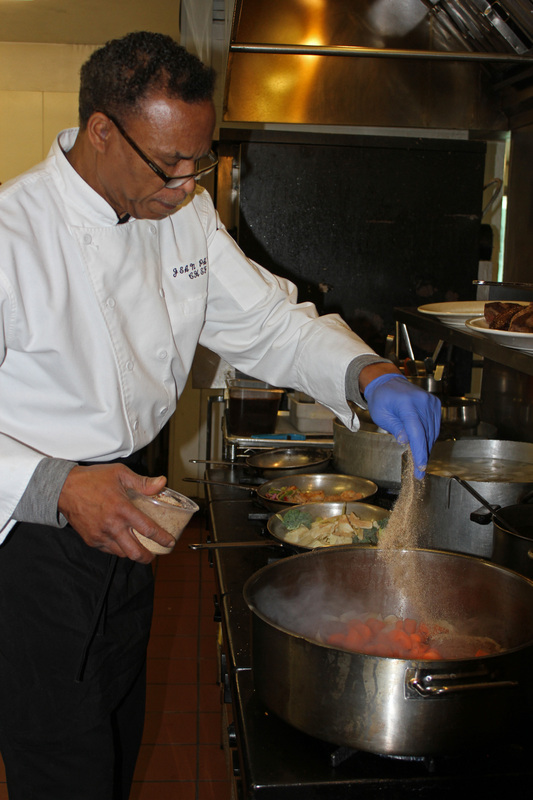 Jean Paul, executive chef at Pineapple Eddie, has been honing his culinary skills for several decades. Born in Port Au Prince, Haiti, he moved to United States in 1969 and has remained here ever since. His foray into the culinary world began in New York City. "I had no idea I was going to be who I am today," Jean Paul says as we started our phone conversation. A welcoming voice, I immediately feel at ease before the conversation ensues. His passion is at once contagious and I learn quickly he is not only eternally grateful for his art, but has been immersed in it since he was young. "I got into cooking in New York City. At the time, I didn't know the value of this skill. I had no background except cooking at home with my mother." His mother, Marie Paul, had once owned and operated her own restaurant in Haiti. Although he would go on to spend many years cooking at top restaurants in New York City and Chicago, he expressed the disadvantages of living in a big city. "New York City was cutthroat. It was impossible to own a restaurant by yourself in the city. You either had to be exceptionally wealthy or have many investors. And you had to work seven days a week to make ends meet. Though, I always thought if you could make it in New York City, you can make it anywhere." I jokingly added that I believed the same to be true for Erie. "Erie, PA opened the door for me," he said. It wasn't until 2005 that he made the trek to Erie. "My sister-in-law Karen asked me and my wife and children if we would move to Erie to help open a restaurant." So, they did. "When I first moved here, I worked at Presque Isle Downs restaurant and also opened up O'Charley's restaurant. It was definitely a challenge and I had to take a pay cut." But then came Pineapple Eddie. "With faith and family, the restaurant took off. That was nearly eight years ago." The response has been incredibly positive ever since. Since the Reader launched its Best of Erie Awards in 2014, Pineapple Eddie has been recognized as Erie's Best Restaurant thrice (2016-18) and once for boasting its Best Dessert (2014). Jean Paul has been honored as Best Chef the past two years. "Everyone that comes here has great things to say about it. It's overwhelming to hear." I learn that before any dish goes out, it must meet his family's approval. "I ask my wife or my sister-in-law to try it. If there's a moment of hesitation, I go back to the drawing board. I'm making it for the customer and I want it foolproof. If I'm missing something, I will work on it. I expect bad and good comments, fortunately, I hear many good ones," he adds laughing. "If you love what you do and cook from your heart, you can't go wrong." Being part of an independent restaurant affords Jean Paul an opportunity to express his culinary finesse. "It's all about the seasoning," he tells me. Pineapple Eddie fuses the flavors and cooking techniques of two cultures — Haiti and the American South to create the distinct flavors of the Southern Bistro. As for where the name came from? "The pineapple is [an international] symbol of hospitality and Eddie is my father-in-law. He had a catering business in NYC, and he moved here after, although he passed away a few years ago. We named it after him. The Southern Bistro is from the South — it's a collaboration." He knows he couldn't have done it by himself. "You can't run a business alone. It's all about collaboration — there's a lot of listening and a lot of trust." But he doesn't see it as a job. "I love what I do and I believe I am good at it. I was doing this for someone else for 35 years." He also knows the importance of treating others with respect. "I learned early to treat those like you want to be treated. I was raised to treat every person equally and with that approach, you can't go wrong." As for future plans? "If it were up to me I would open a restaurant in each county in each town — I have people asking me all the time. I mean, you can't take the money with you. I work 14-15 hours a day, but it's not a job to me. I love what I do." In keeping with the premise of this column, I ask him for advice to aspiring restaurateurs. "Believe in yourself and be true to your customer. Remember that your staff represents you — they serve the food you create. I can't say this enough — treat others as you want to be treated. You can't go wrong with that concept. I have seen managers and owners that talk down to their employees. It's demeaning and unnecessary." And, of course, he follows the motto, the customer is always right." I always tell customers that if they're unhappy, they're not leaving until I fix it. Thankfully, it hasn't happened to me yet." And I believe this to be true. When perusing online the reviews I found were generally top notch and the restaurant is currently ranked #1 on Tripadvisor. If the path to happiness is truly felt in service, I believe that Jean Paul has embodied this in the culinary form. He is as compassionate as he is talented — and a better combination of traits cannot be found when it comes to catering to others.